Perfectly tousled locks aren't as easy to achieve as they seem. Even the most effortless styles need a bit of help. 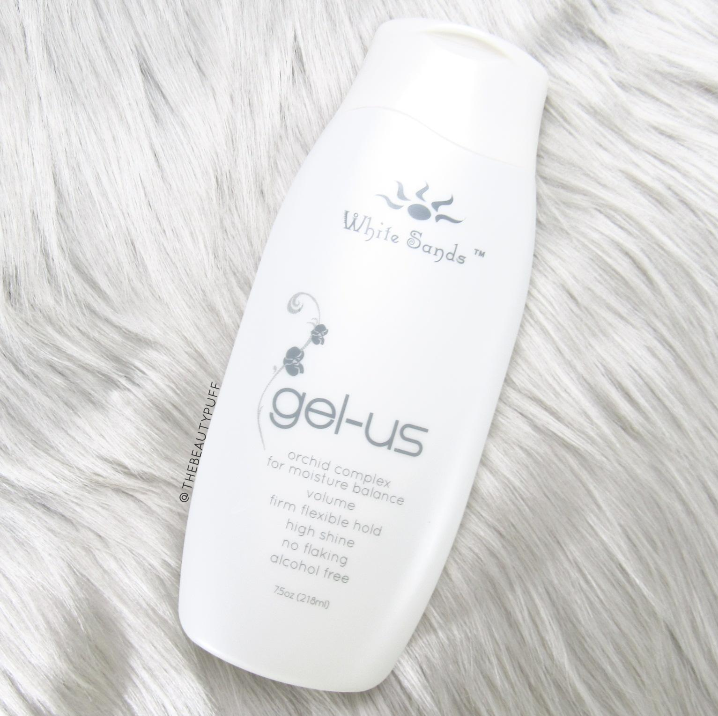 For my simple summer styles I've been using the White Sands Gel-Us featuring floral and herbal extracts to soften, smooth and give my hair volume and strength. The formula of this gel is much thinner than other gels I've tried. It spreads out evenly and easily works into my hair so I'm not left with product building up in any particular area. It's very light-weight but provides a firm, yet flexible hold all day long. Even if you run your fingers or a brush through your hair you won't feel any stiffness or get any flaking. It's a really comfortable hair product because it works with your style and doesn't feel heavy like a typical gel. Provides hold & shine | Keep your style in place with flexible, touchable hold and added shine. Hydrates & Eliminates frizz | Improves texture by sealing in moisture so hair is smooth and silky. Repels humidity | Keeps curls smooth and defined so you can keep your style intact even in high humidity. Strengthens | Nourishes your roots to improve hair's resiliency. Provides volume | Whether you are using a blow dryer or letting your hair air dry, this gel can help add additional volume to your hair without weighing it down. I love easy to use, all-in-one products to help speed up my routine and this White Sands gel is definitely one of them! It's perfect to incorporate in your summer hair styles when you might want to simplify and use less products. You can find this gel, along with the entire White Sands line below.